The 2nd Annual Pray For Me Campaign Kickoff will be held this Sunday, November 6th, 2016 immediately following worship services. All Prayer Champions, church youth and their families should plan to attend. Light refreshments will be provided. 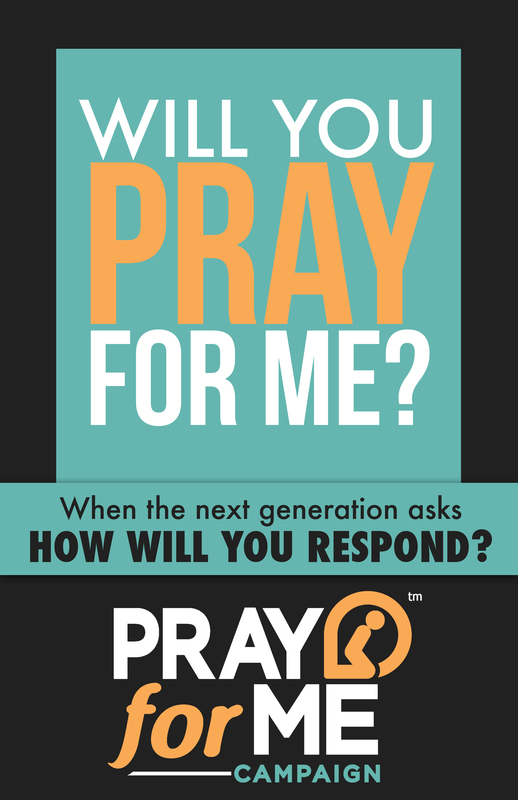 During the Campaign Kickoff, the church youth (kindergarten through college) will invite 3 adults to invest in their lives by praying for them on a daily basis over the course of the current school year. The goal is to equip young people with inter-generational relationships they need to stay connected in the church and rooted in their faith. Be sure to attend this Sunday and participate in this very important prayer initiative! p.s. If you are unable to attend this Sunday, but want to participate, please contact Cindy Fowler at 912-230-0274 and let her know.